The LensCoat LensHide covers you, your camera/video gear, and your tripod. 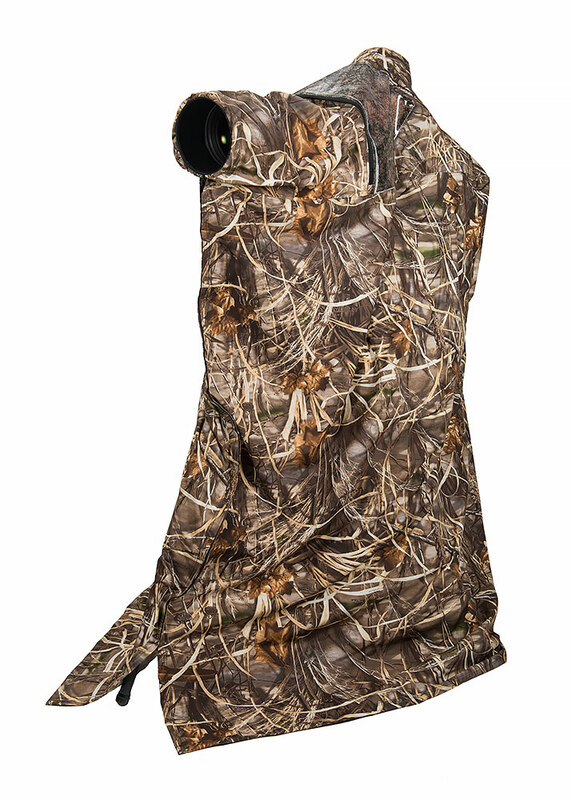 Made from lightweight, breathable camouflage material, a large camo mesh-screen allows you to see your subjects while you are covered and out of sight and doesn’t obstruct your peripheral vision. Quick and easy to set up, our roomy LensHide allows you to make adjustments to your gear so your movement is unnoticed by your subjects. A Velcro closure on the back of the head keeps the LensHide in place. 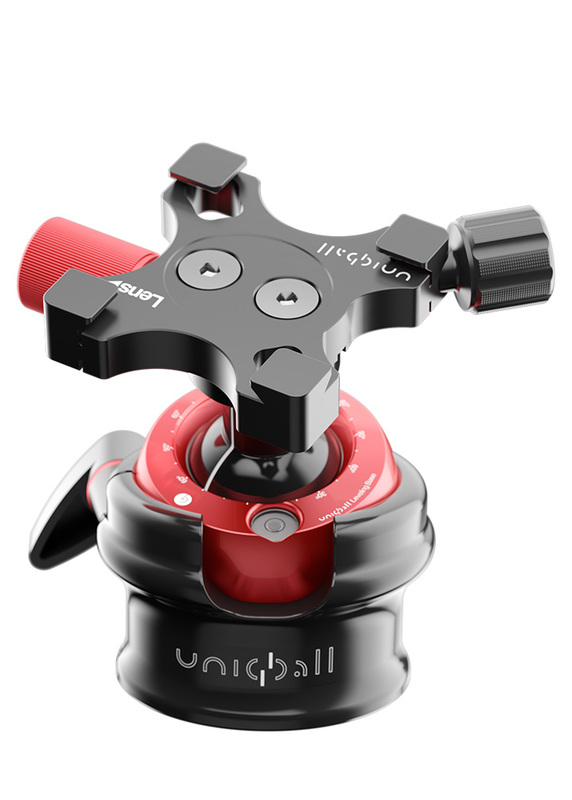 An Elastic Cinch strap secures the LensHide to your lens. And a Velcro sealed top slot allows for quick and easy use of an external flash. The LensCoat LensHide Lightweight has the same great design as the original LensHide and is 33% lighter. It covers you, your camera/video gear, and your tripod. 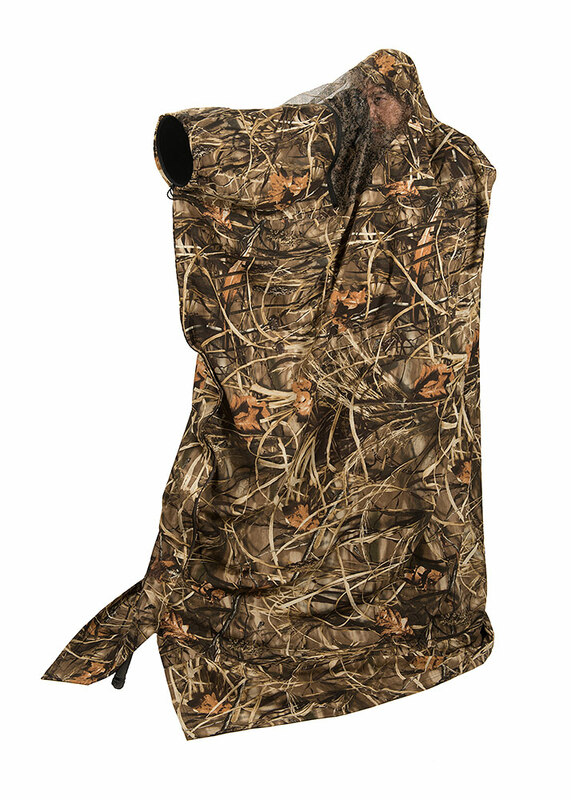 Made from lightweight, breathable camouflage material, a large camo mesh-screen allows you to see your subjects while you are covered and out of sight and doesn’t obstruct your peripheral vision. The LensCoat LensHide Water-repellent covers you, your camera/video gear, and your tripod. The LensHide Water-repellent Tall has the same great design and a full 12 inches taller. Made from from the same quiet, breathable, lightweight material as our RainCoats and the seams are tape sealed. 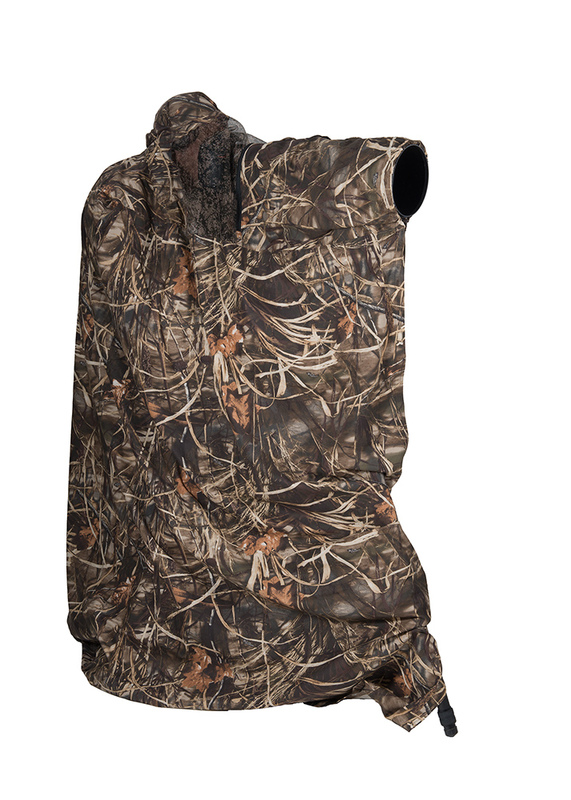 A large camo mesh-screen backed by plastic allows you to see your subjects while you are covered and out of sight and doesn’t obstruct your peripheral vision. The LensHide also has 3 YKK water-repellent zippers allow for access as well as air flow if needed. The ultimate in portability, the LensHide folds into its own integrated storage and carry pouch with belt hoops which is also an accessory pocket when the blind is in use.